Our certified service experts will treat your home with respect. We guarantee a pleasant service experience in your home. Once we have satisfied your service needs, our technicians will thoroughly clean the work area leaving your home just as we found it. At Green’s Security Centers Inc., qualified professionals, from our customer service representatives to our service experts will make your life less complicated. From the time we schedule your appointment until our service expert leaves your home, we guarantee quality service to eliminate your worries. Our goal is to resolve your security problems and provide safety and peace of mind for you and your family. With Green’s Security Centers Inc. as your quality service provider, you can rest assured that we will take good care of you. Just call us and we’ll be right there! A guarantee is only as good at the Company behind it. Since 1973, Green’s Security Centers Inc., has guaranteed prompt service. We value your time and know that you are busy. We will make an appointment with you and keep it. We provide exceptional service across Los Angeles County, Orange County, San Bernardino County, Riverside County and the San Fernando Valley. Therefore, we will always have service experts available to assess your service needs. No matter the day or hour, Green’s Security Centers Inc. is here for you. Our qualified service experts are here to serve you 365 days a year. We are available on nights, weekends and holidays as well. 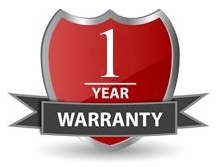 In addition to the manufacturer warranty for the installation of new equipment, Green’s Security Centers Inc. provides a one (1) year warranty on parts & labor. We want to secure your investment and make any adjustments necessary to provide maximum efficiency of your security hardware.